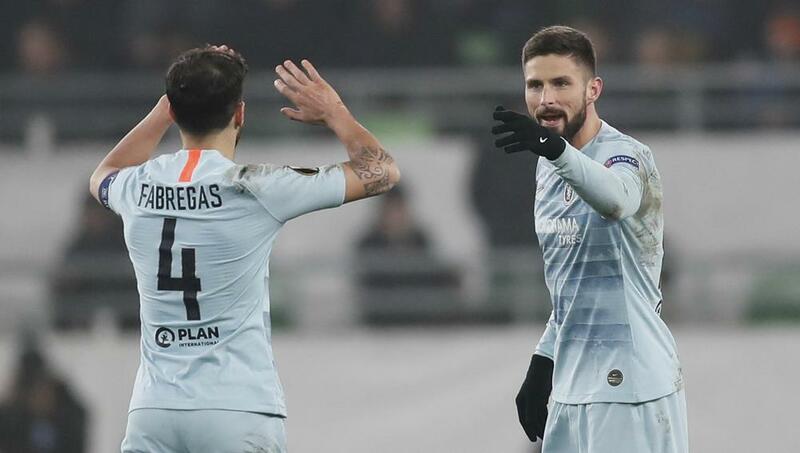 Olivier Giroud salvaged a draw for Group L toppers Chelsea in Thursday's clash with Hungarian side Vidi. The visitors made life difficult for themselves as an Ethan Ampadu own goal quickly erased Willian's 30th-minute opener, before Loic Nego fired the unheralded Hungarians into the lead 11 minutes after the restart. The Brazilian guided a fine free-kick beyond the cumbersome Adam Kovacsik, although the lead lasted less than two minutes as Ampadu awkwardly headed a corner into his own net at the other end. So impressive in battling past Premier League champions City last Saturday, head coach Sarri might regret the wholesale changes he made for this trip. The question of whether momentum has been squandered will be answered at the Amex Stadium on Sunday. Chelsea will expect better when they visit Brighton and Hove Albion in the Premier League on Sunday, the same day as Vidi's home date with Hungarian leaders Ferencvaros.